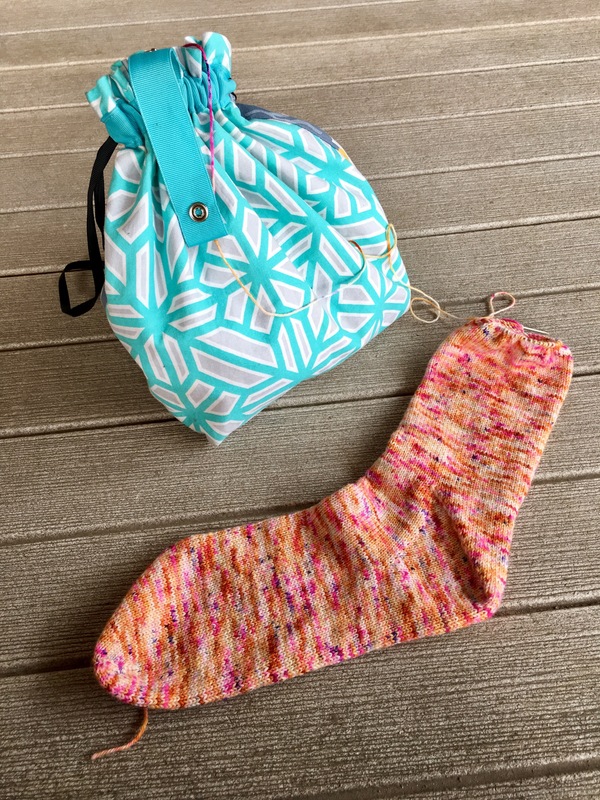 I had been working my Vacation Vanilla Socks from a single wound skein. Normally I split my yarn into two equal cakes for matching socks so I don’t have to guess or measure during the knitting. I was far enough with the first sock that I weighed and pulled out enough yarn to get half and then cut. 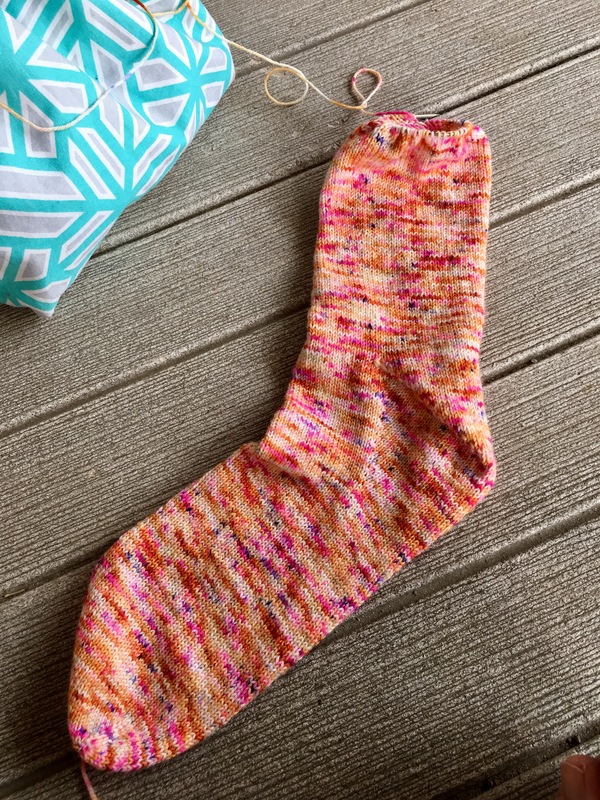 I had a quite a large ball of yarn left to finish this first sock. I kept going up the leg and ball didn’t shrink much. I’m at decision point….keep going up the leg or start the cuff. I need to measure with a ruler. My eyeballs say “that’s far enough” but arguably they aren’t always reliable, lol. I hate making decisions when I feel the pull of “just get this project done”. This project needs to percolate a bit I think.